The Industrial Truck Association has designated June 10 as National Forklift Safety Day which will “serve as a focal point for manufacturers to highlight the safe use of forklifts and importance of operator training,” according to the ITA website. Given the issues every operation deals with due to forklift safety, an event like this, that serves as a way to increase awareness for improved safety practices, is an excellent idea. Forklifts cause nearly 100 deaths, more than 34,900 serious injuries, and another 62,000 minor injuries in the United States every year. 11% of all forklifts are involved in an accident every year. This article addresses the nature of industrial safety equipment and how it might (or might not) comply with industry guidelines. While there are many industry groups, some of which provide safety guidelines, one of the most common is the AIAG (Automotive Industry Action Group). Their guidelines are specific to plant safety, and the interaction between pedestrians and forklifts or other in plant vehicles. If you are considering a solution that involves third party equipment, this article may be helpful in terms of how your proposed solution integrates with AIGA standards. Powered industrial trucks present special hazards not normally encountered outside the production facility, warehouse or distribution center. The functions these types of equipment perform are characteristically hazardous activities, let alone the fact that the equipment itself has inherent attributes that make it hazardous to operate. 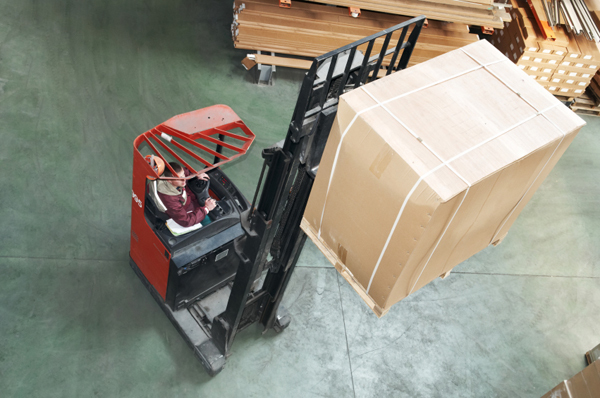 Since forklifts lack the braking and steering characteristics of automobiles, it’s important to understand what the limits are, and how drivers and plant personnel must behave around them. In many facilities, one of the more dangerous areas is the humble corner, where lift trucks might collide either with each other or people. The potential for serious injuries and extensive equipment damage is significant. There are methods to help drivers and plant personnel negotiate the corner, blind intersection, or rack row.